I'm curious as to when you guys say, "thats it", to your summer veggies like peppers, eggplants and tomatoes. My first frost is in less than 4 weeks. I have almost no red tomatoes with the exception of the Box Car Willie, that will not stop producing and "0" splits thus far, but quite a few greens and some random flowers. My Cherokee purples split and become bug infested while they're still mostly green, I'll never grow them again, I threw out almost every CP tomato the last month. 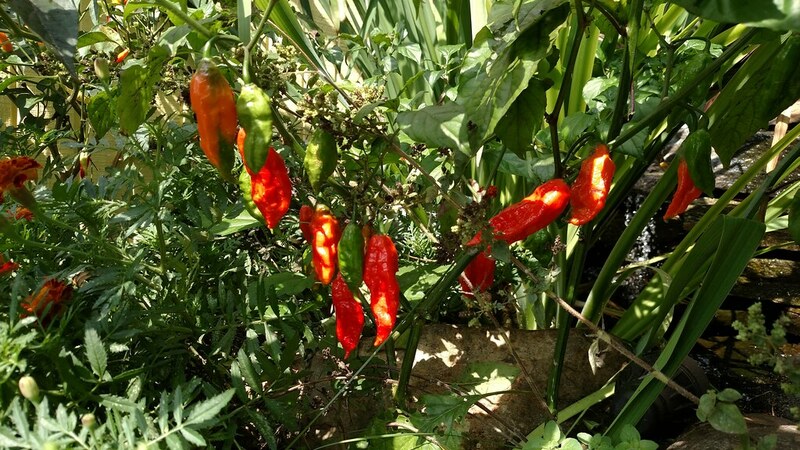 The ghost chilis are starting to ripen as well as the Tabascos. The Tabascos go into my sauce jar thats on its second year resting on charred oak. The ghost Chilis will be smoked and made into a Ghost Chili Salt. The green and red bells fizzled out. I still have a few peppers that need to be picked. Poblanos, Anaheim and Corno Di Toro Gillo still have plenty of fruit and some Poblanos are ripening to red, those will be roasted, peeled, smoked and dried. 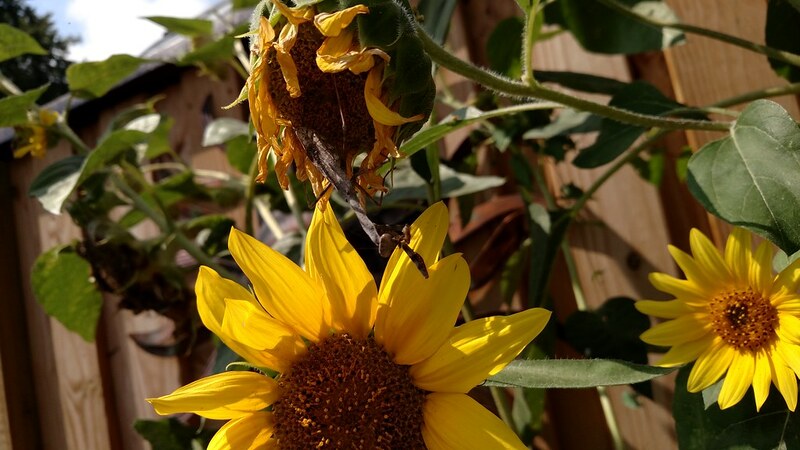 Sunflowers get a flower here and there but look horrible, I'm just leaving the heads for the birds but cant wait to cut them down. 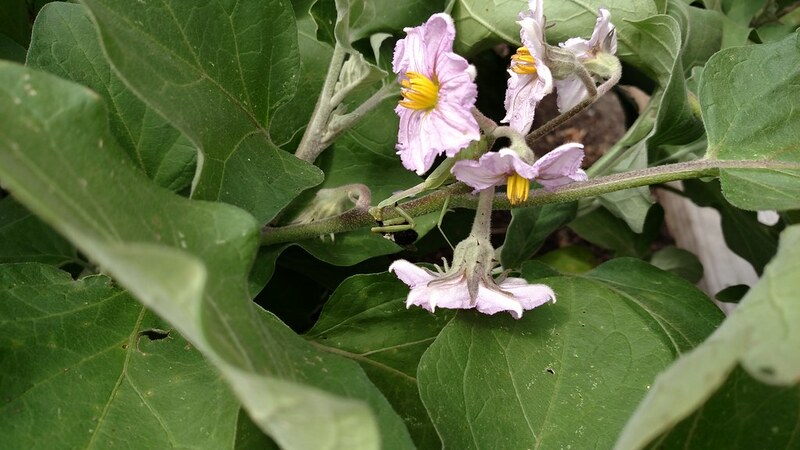 My eggplants are struggling but some have set fruit and are still flowering. 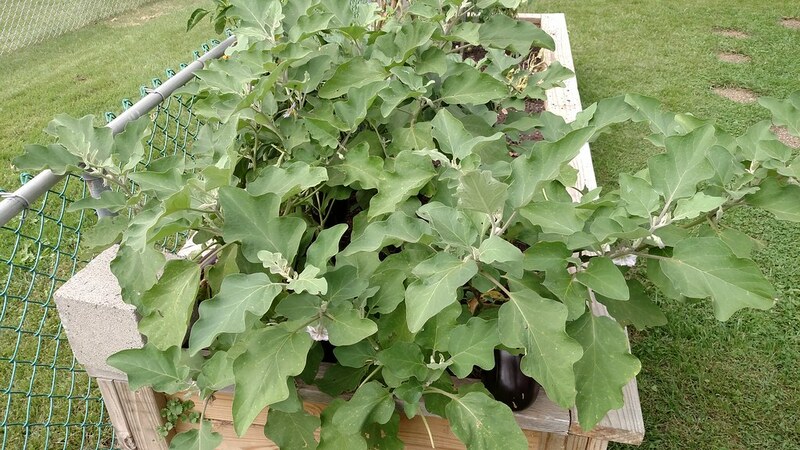 Moms eggplants wont quit, this is a first year Hugelkultur bed I have no idea why these things have exploded, they have been supplying the neighbors with eggplant off of these two plants, I started these seedlings the same time I done mine and my plants look pathetic. I'm really antsy about tearing everything out and concentrate on my cover crops, I do have some broccoli seedlings that are struggling and some romaine. None of my bush beans hatched! At this time of year, my vegetable gardens can begin to look ... I'll say "spent." The summer squash has not had mildew problems but the cucumber vines are all but finished and even those planted late are more yellowish grey than green. If anything, and after a good harvest, the melon vines look worse! Sweet corn stalks that haven't been cut down are standing with dead, rustling leaves. Summer greens might look okay if there wasn't so many bug-chewed outer leaves left on them. Weeds that have been hiding in the sprawling tomatoes suddenly pop up to go to seed! Locally, weeks and months with no rain have been replaced by showers, wind and dark days. It may not reach 60°f any afternoon remaining to this week. There was frost on the north slope of my shed roof, Saturday morning. I'm afraid that Thursday will be a major harvest day with a truckload of green tomatoes and too many peppers needing to be picked. It just looks too likely that Friday or Saturday or both days will have a killing frost. I can "stave off" a light frost with the sprinklers but can't be there at sunrise on both mornings. Always a difficult question! I'm about to call it quits on more of mine. My tomato plants have suffered from septoria until there's little left. They are still producing a few tomatoes, but very few. So they will be next to go. The issue at this time of year is hours of sunlight. Our daytime temps are still in the mid 80's and will be through the end of the month, with night time lows in the 60's. So still plenty warm enough. But the hours of sun are fewer and the sun is more slanted, less of it overhead sun. Where I am the slanted light also means less of it, because more things blocking it. So in the best of conditions, the tomatoes and peppers won't be producing a whole lot more. So I'm going to be taking out the tomatoes as soon as I get time and replanting with cool weather stuff. The peppers will be the next to go. The green beans are still going great and will stay longer. And I'm still planting everywhere I take things out with cool weather stuff for fall and/or winter. I really don't do cover crops. 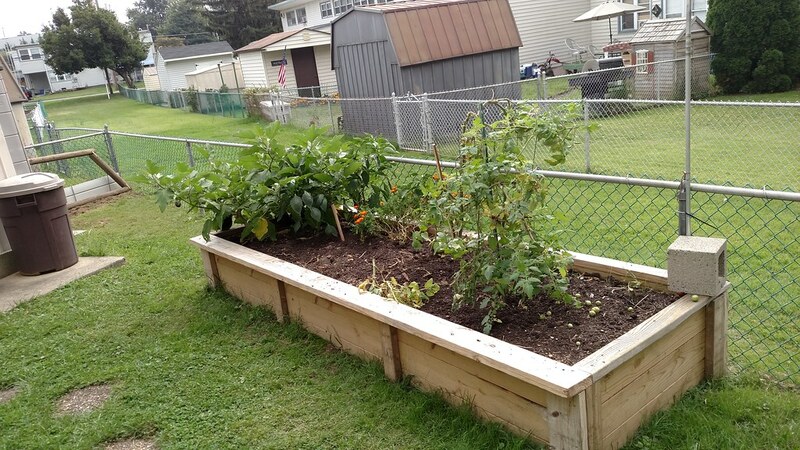 1) I don't really have that much space and 2) I pretty much keep veggies growing all year. I currently have seedlings sprouted of broccoli, cabbage, kale, swiss chard, spinach, and am about to plant lettuce. Here on the Great Plains, every plant has its life expectancy. They pump out fruit as long as they can and then a digitS' says they become spent. All there is left in my garden are peppers and tomatoes and a zucchini that doesn't know when to quit. When the tomatoes have nothing but small green fruit they get pulled. 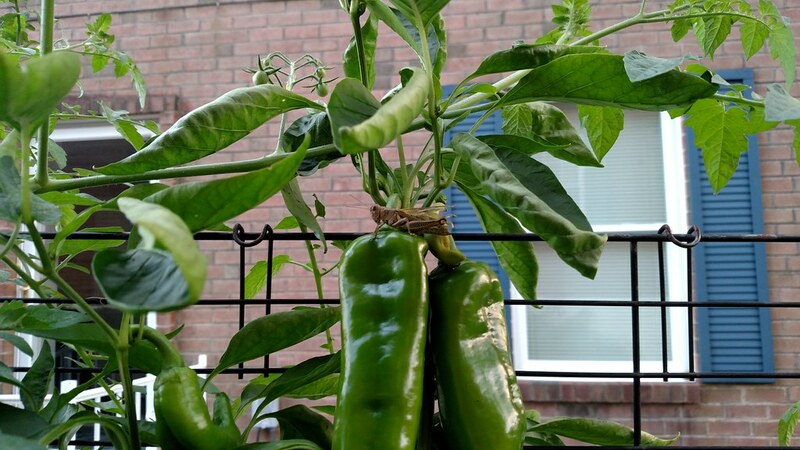 As for peppers, they are still looking very productive and always stay right up to frost. Several are just now blooming. Our season just isn't long enough for even short season peppers even though the seeds get started a month earlier than anything else. 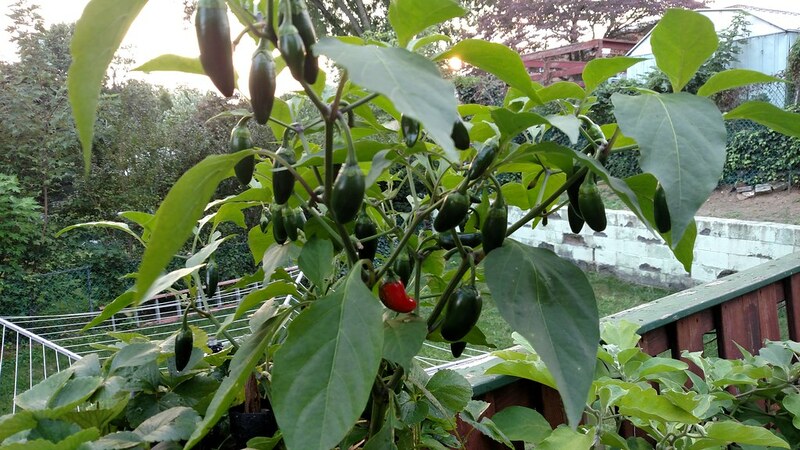 It has been a great year for peppers with several varieties ripening. Most years we get green peppers which is OK, but this year we have lots of colors. This has been the best September harvest of tomatoes in the 42 years of growing. Most years by now almost all plants have been pulled. This year the majority of the tomato harvest has been in September with very nice, big fruits. Most years by now the plants only give small, tasteless end of the season tomatoes. This year has been different. Half the 32 plants are still looking great and pumping out ripening tomatoes every day. So, usually by now the garden is getting cleaned up. This year has been different and frost, whenever it comes, will be the deciding factor. The plants pretty much decide for me. When they are done, I pull them and they go into the new compost pile. 3/4 of the garden is covered in 2" of clean grass clippings and the worms are having at it leaving a nice layer of castings. Round Two of beets, carrots, spinach and peas were dismal failures. Round Two of green beans is still doing well. Will leave those in until it gets cold and turn them under a little before the ground freezes. Round Two onions are doing okay, will get golf ball sized onions from them I would guess. Have 3 of 4 eggplant left, with 4 smallish fruits and half a dozen blossoms. When those are picked the plants will be in the compost pile. Have more red and yellow (generic) cherry tomatoes than the than the neighbors are willing to accept, vines are still growing throwing blossoms on the new growth. The other 4 commercial hybrids are still ripening smaller fruits. These will all be pulled after the first frost which should be mid-late Sept for me, or until mid November. (Gotta luv New England weather). 6 bell pepper plants (commercial hybrids) are still growing, producing fruit and blossoming. Strawberries.... RRRrrrRRRrrr... thinking diesel fuel and a road flare! Can't wait to get it, stripped, mulched over and eventually turned it. Over all it was a much better than average year and already have a better plan for next year, mostly because of what I learned in here. Quits? Guess that is when a good hard frost has taken everything and its raining and too wet to plow. Hey, I covered one tomato plant and it still has tomatoes ripening. It is raining and I'm expecting to see it get cold when this front moves out. Its about over. If you can overwinter them the peppers will do fine in pots indoors. I still have to get started so I am not really ending, instead, I need to start. I am getting ready to replant my containers with cucumber, long beans, beets, broccoli, mizuna and maybe some Asian greens if I can fit it all in. I am probably going to replant my eggplant as well. It is not happy, I think I need to change the soil. Ajaka (holy basil) is resistant to downy and is about 2 ft tall and ready to pick. The calamondin is flowering again and the kaffir lime has fruit. If they have seeds, I will plant them out to get more plants. I have three right now. One is 23 years old, the other is maybe around 18 and the newest one was grafted by my friend earlier this year. I have to do some work on the main garden to plant the asian greens and broccoli. I have to thin the aloe and Jamaican oregano since they take up a lot of space in the main garden and give the snails a place to hide. I still don't know where I am going to put the onions and garlic. I might try those in rubbermaid tubs this year. Bulbs don't do well in my acidic garden. I use to call it quits about August 1st, beans, corn, potatoes, tomatoes, squash, all had made their harvest and the pantry was full for the winter. These days pantry is still full by mid July and many plants are dead and gone by August, but I plant things now that i never planted before. I plant cold weather crops spring and fall, onions, garlic, herbs, peas, greens and sometimes a second crop of beans, corn, peppers, tomatoes. I don't do fall crops, so most of mine is done. I have some tomatoes that are still producing, but unless I want one for the table, I'm just letting them go. the last of the the pinto beans were picked yesterday, so all I have left is okra, brussel sprouts and horseradish. the sprouts will wait till we have had a good hard frost, and the horseradish I can harvest anytime the ground is not frozen solid. if I wanted, I could get another cutting of rhubarb, but don't want to risk harming the roots. the half I let go fallow (it's year 7 for it) has been mowed and tilled and is ready for winter and to be put back into production next year. this years garden will go fallow next year, and then all 3000 square feet will be producing again. I just let nature decide. As far as my spring/summer garden, it will mostly be done my mid July when our heat really kicks into overdrive. By that time, usually the only thing striving is okra, peppers and if I'm lucky, cucumbers, eggplant and pole beans. I do plant a fall garden and as of now I do have seeds coming up with many leaf lettuces, kale, Swiss Chard, bunching onions, Walla-Walla Onions, beets, squash and garlic. I've got a couple trellises in 2 varieties of cucumbers that I've picked a few off of with tons more to come and 1 trellis with Kentucky Wonder Pole beans that are just starting to flower and set some beans. I also planted several cabbages, broccoli, cauliflower, collards and a few herb plants already started that are growing nicely right now. I do have one more 45 ft. row with nothing in it at the moment and that will get a second planting of some of the above plants in a few more weeks to extend the harvest. It is time for me to go plant the garlic. There is still some tomatoes under a cover that are ripening. I have tomatoes still producing a little bit and peppers still doing well. I started picking some of the yellow crookneck summer squash off the one plant I have. Green beans still going strong. I have picked two quarts and still have a lot more coming. I have swiss chard and spinach almost ready to start harvesting, and broccoli seedlings, with a few kale and cabbage plants. I have a few volunteer potato plants, but may plant some more I just planted lettuce seeds. I have some garlic planted, but will plant more. Soon I will give up on the tomatoes and maybe plant carrots. I planted some peas, but only a few sprouted, maybe plant some more of those. AND our six laying hens are giving us about 2.5 dozen eggs a week. Life is good! There wasn't yet frost at 3am or 30 minutes later but by 4:30 - freezing. Yeah, I missed the 4am check. Anyway, I had the sprinklers cycling on and off manually after 4:30am. Helped. This is it, however. Tomorrow morning has a colder forecast. Too bad I can't put a little weather person right in the middle of a garden where it matters most to me . It's late enough. Any tomato showing color was picked yesterday. The peppers have not changed a bit for the last 10 days. A pot of sweet corn was cooked last night. And, even that late-sowing of green beans produced some beans, now picked and in the carport fridge. Low 60's to high 70's the rest of the week. I may give the tomatoes, eggplants and peppers another week or two. We still have highs in the 80's and lows in 60's for the next week. What Do You Call This Phenomenon? What are these guys? What do to with them...? What are these tiny guys?